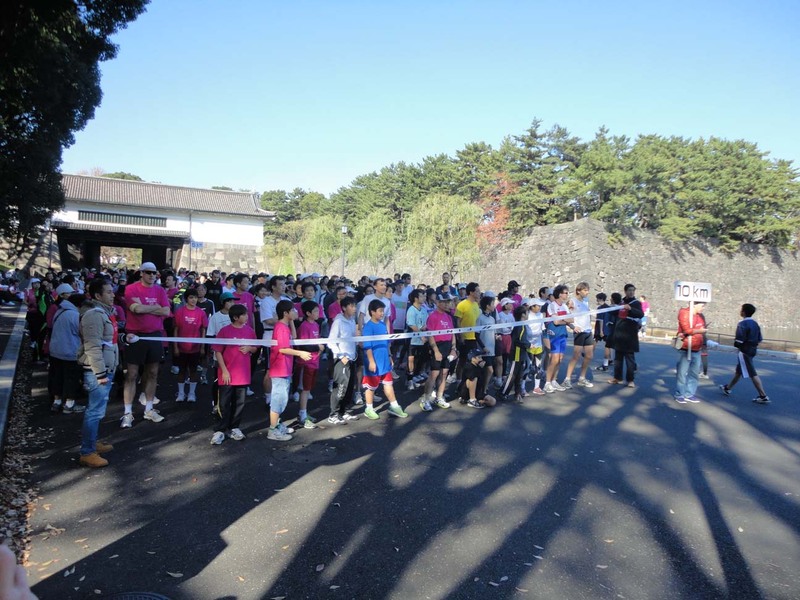 I was a naive-teens struggled to pursue my higher study after completing senior high school. I was badly hopping to get into university in Australia. There were days when my friends mostly managed to decide their choices going to Germany, US, Singapore, Malaysia, etc, while I still went from one to the other education exhibitions in town, collecting the pamphlets and calculating the tuition as well as living costs. It reminds me of the tough time since I got no support from parents of going to Australia. They wanted me to stay in hometown with couple of reasons, particularly in financial issue. My cousins were there, and they helped me in the sense of convincing my daddy for the tragic riot case as well as the overview of the expenses. Thanks to them! On the other side, my daddy always wants us to propose and manage our finance. So, even he’s convinced, he still need me to make kind of proposal, finding out the cost that he needs to cover for the bachelor degree. Yes, different families have different way of teaching the kids. As I went to a private school with pretty many well-off families background students, most of my friends had no burden to even think of the money. Some of them were even got decided from parents where to pursue their studies. Frankly I felt how easy and lucky their lives were, they didn’t even need not to think about the cost. But at the time passed by, I’m truly thankful for the process that I went through until what I am now. At the end of the day, my daddy approved my proposal. He sold the car and I got funded for half of the total cost of university in advance. It’s very nostalgic moment, I even kissed the car before it was given to the buyer since the car had given so many memories for my family. As the only daughter and the first time to be away from parents, my daddy went to Jakarta accompanying me to make sure everything’s settled. We went on ship, operated by P.T. Pelayaran Nasional Indonesia (Pelni) which took us 3 days 2 nights to reach Jakarta. There’re lot of things I learned during the journey. I made new friends and knowing the fact that we would go to the same university. What an unforgettable experience. I know.. I know that I still have the posting of my moving last March in the draft folder. It’s the 3rd time moving in Japan, and as always I hate packing and moving. – 3rd one is my current room which changes my life style dramatically. After moving out from Odaiba and living in new apato (apartment), but please dun think of the luxurious apartment which most likely located in the heart of city, like in Indonesia.. 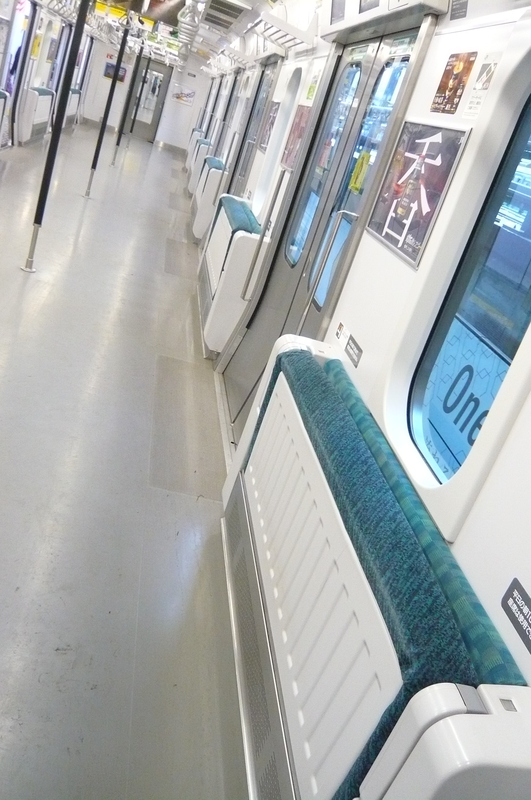 The apartment in Japan is the most ordinary people can afford. It’s usually only one small room. Well, depend on the type 1K, 2K, 1LDK, etc. One of the dramatic change is nobody is really knowing each other. It’s completely different when I used to live in dormitory, I always felt having a lot of friends surround. Not to mention that I no longer can dispose trash any day. In the previous dorm, no matter how late I came back home, I could still go to gym which is only 2 minutes away from my building. The gym facility for residents open til midnight, so I always have chance to work out for quite some time. In my new residential area, sure we don’t have the gym facility. I already thought of joining the gym club, but it’s a bit far. 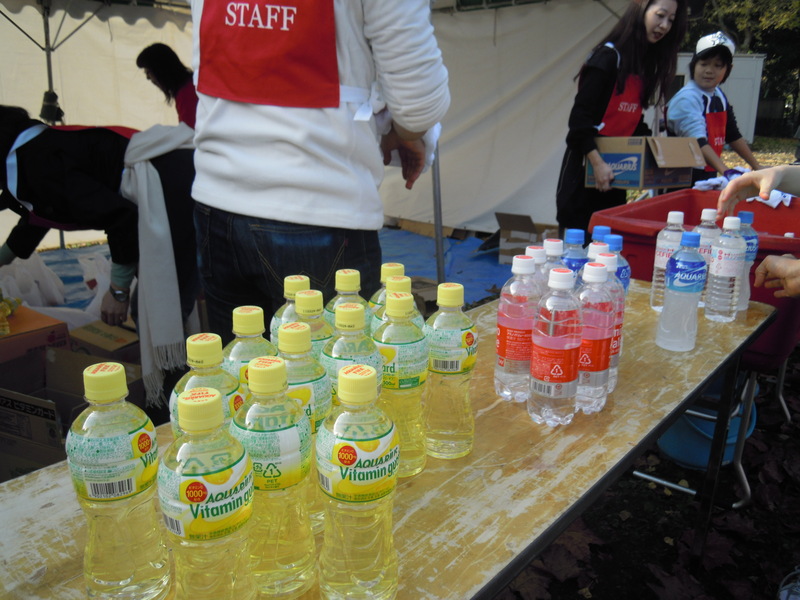 I gained weight, and at the same time feel my health and stamina dropped. So these are the running gear I’ve! 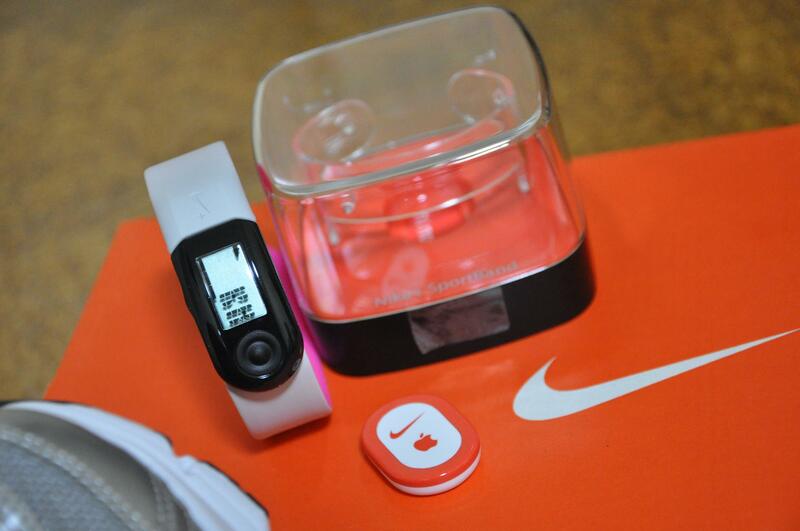 A pair of Nike Running Plus shoes and sportband + sensor. 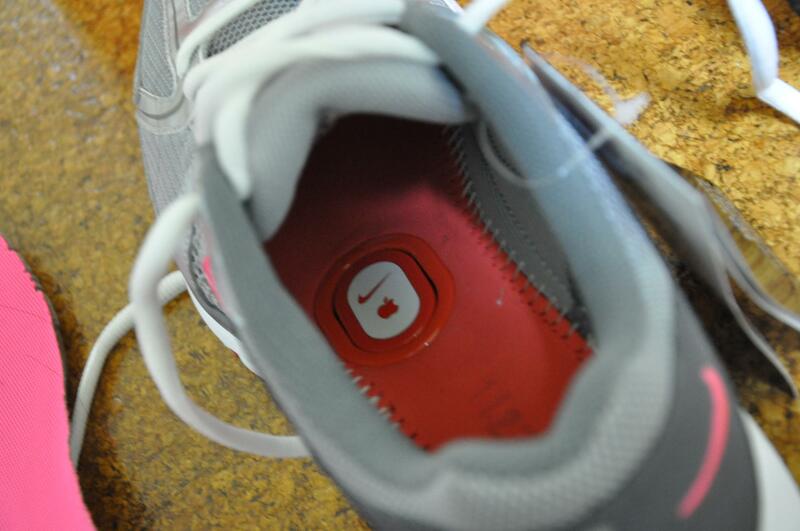 This is how the sensor is attached inside the Nike plus shoe. 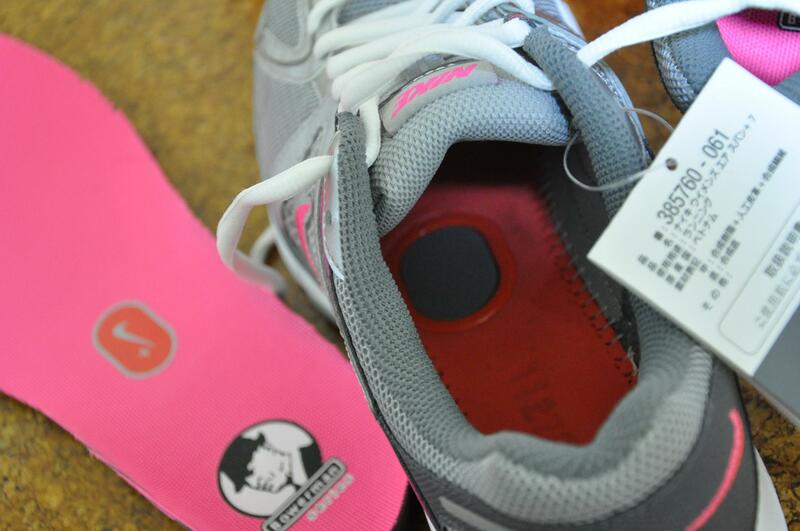 It keeps track of every run detail ~ calories, pace, distance. 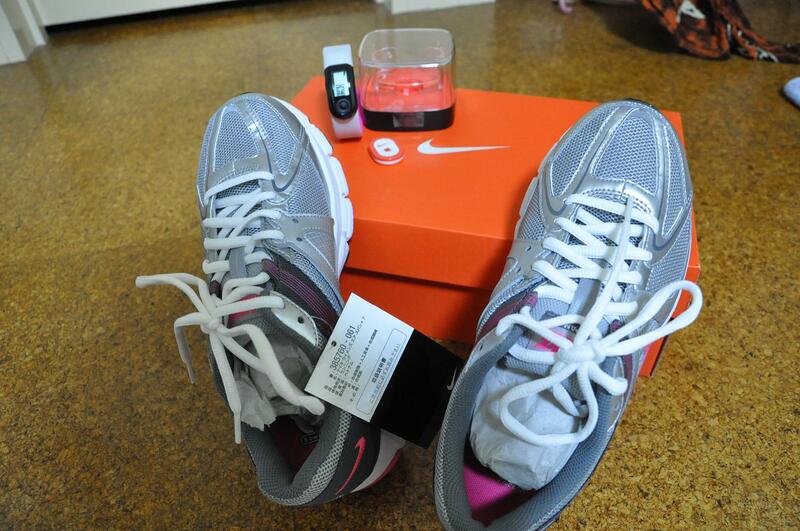 It save the personal best in the training history keeping motivated and challenged from the world wide Nike runners. This month, my target is burning 4000 kcal, but seems like I’m gonna fail it, since we’re entering rainy season in Japan. huhuhu.. Yeah at least, I can still keep my body fit, and moreover still about 2 weeks to go to burn other 3000+ kcal. Go Willy! This gonna be the sixth posting of this year, lol.. I realized how unproductive I have been heh! I’ve got few drafts written in March though.. f(^^) I plan to finalize them, mottainai kara ne~ but for now I’ll post about fashion chronicle. 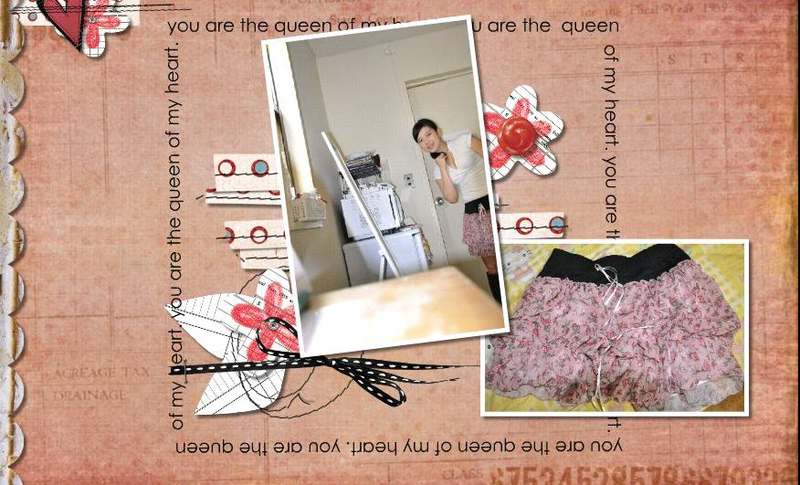 I was blogwalking to Inge‘s and she posted about fashion chronicle thingy with her first flower theme. I guess Elrica is the pioneer as I read in her posting before. Inge’s asking if somebody would like to join the fashion chronicle. Yeah, I know I’m not a fashionable type of gal. Not following the fashion magazine like Vivi, Can Cam. I’d say that I’m not that shopping-freak like what I used to be. Back then in my hometown, my mom and I loved window shopping which was obviously we did shopping at the end – clothes and accessories. As I have no sister, I did share clothes with mom. I try to do mix and match my old wardrobes with my different collection, trying to having a new look. Back to the project, I couldn’t even pop up wif any single idea of the flower stuffs that I’ve until yesterday. Yes! I found out that I do have quite number of flower stuffs from skirt, blouse, T-shirt, lol. 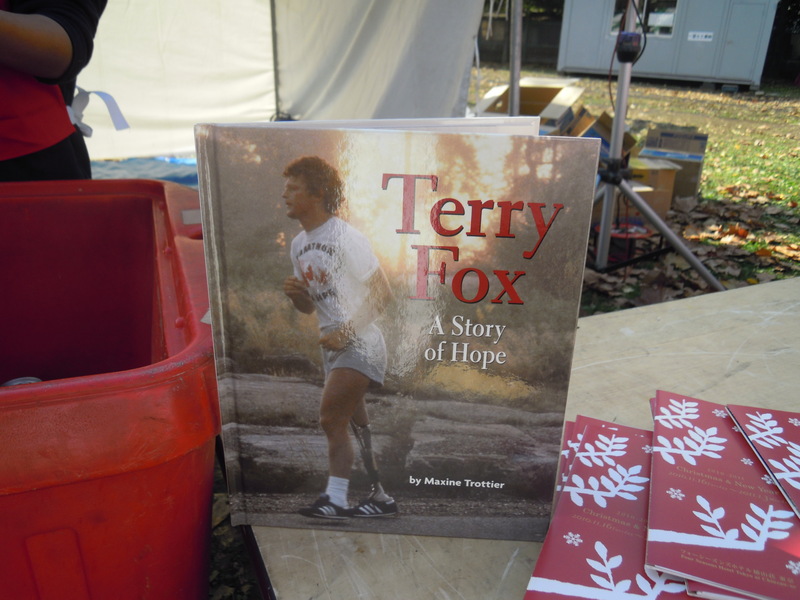 The first picture I took it yesterday for the chronicle post. Got the skirt two weeks ago in Shibuya for 50% disc. Actually never planned for the second one. I wore this outfit before going to violin course and realized that this has flower as well. Yes, this one was the same time grab sale like the skirt above. Last summer, I was invited by my friend to the baking class for free trial class. 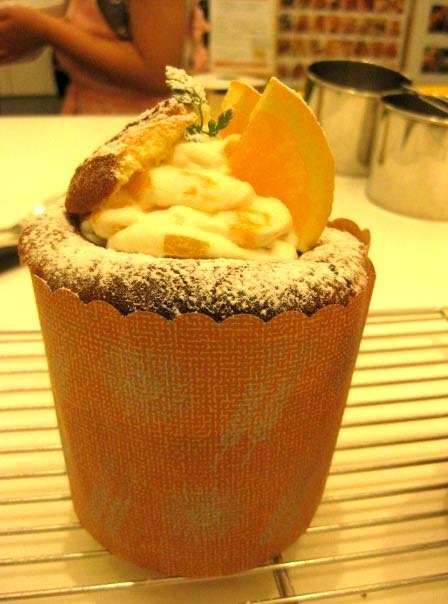 Having her doing the reservation, I just went right away to the Roppongi studio of ABC, craving for Chiffone with fresh orange and mango. At the end of the class, I ended up signing membership as it’s a very tempting offer. 50% discount for student. 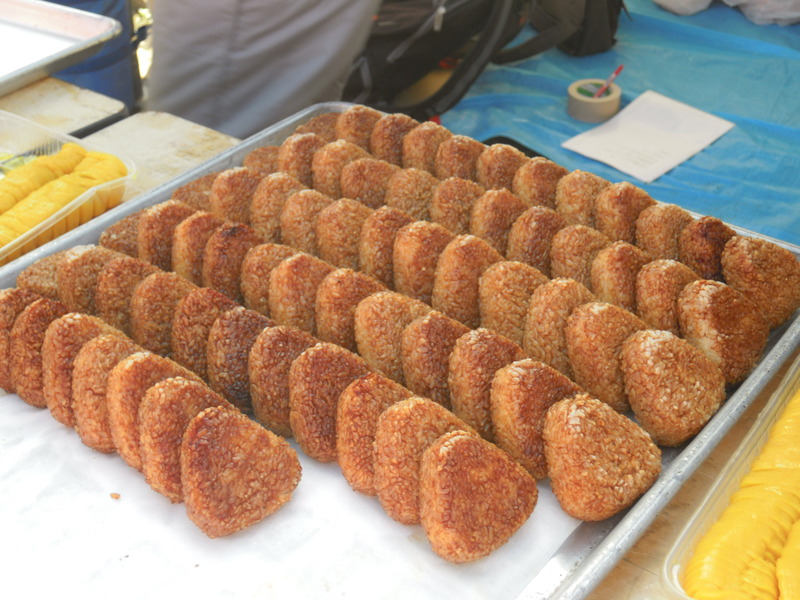 They have a lot of studios throughout Japan with 3 courses: cooking, cake, and bread. Ok, to make story short, I did enjoy the cooking class. I went there couple times and invited some friends for trial classes as well. It’s nice due to the studio atmosphere, and the class’s delivered in a small group, consists of up to 4 persons in one session. And the most important thing, it’s not a cooking demo class like in Indonesia – we are all involved for the practical cooking. 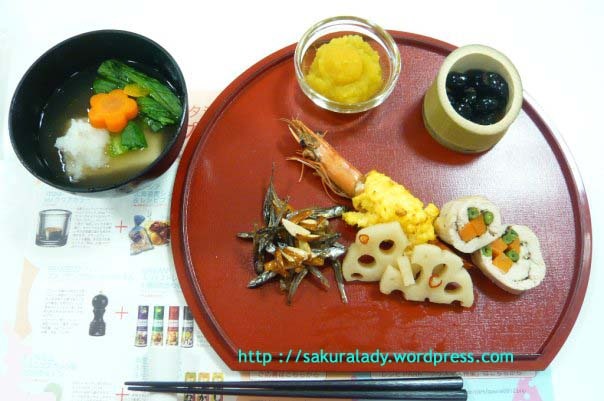 Each of the osechi symbolizes particular meaning to celebrate the coming new year. Shrimp have long whiskers and their backs are curved, they are associated with elder people. People eat shrimp hoping to live a long life. 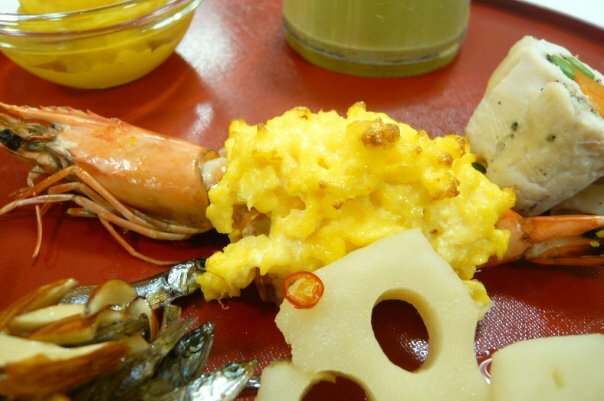 * Ebi (エビ), skewered prawns cooked with sake and soy sauce, symbolizes long life as the shrimp have long whiskers and curved backs which associated with elder people. 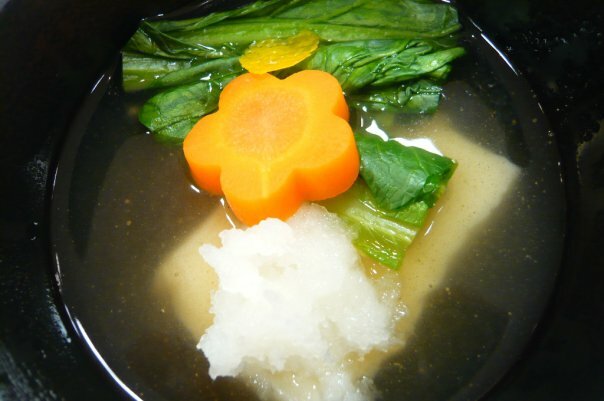 * Zouni (雑煮), a soup of mochi rice cakes in clear broth (in eastern Japan) or miso broth (in western Japan). 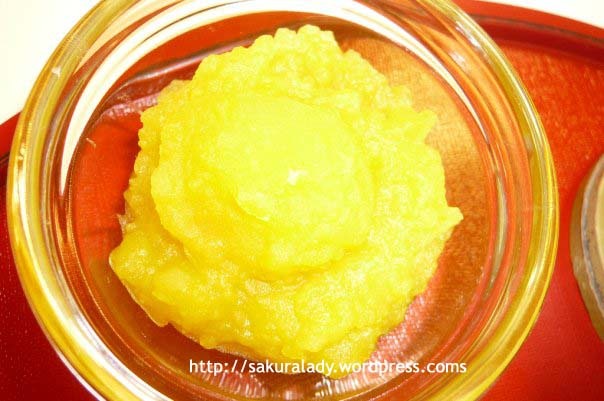 The source of the sweetness doesn’t basically come from sugar, but rice with the natural sweetness. The vegetables in the soup symbolizes smooth human relations, having many descendants, being promoted in the world, not to become jealous or petty and to put down strong roots. 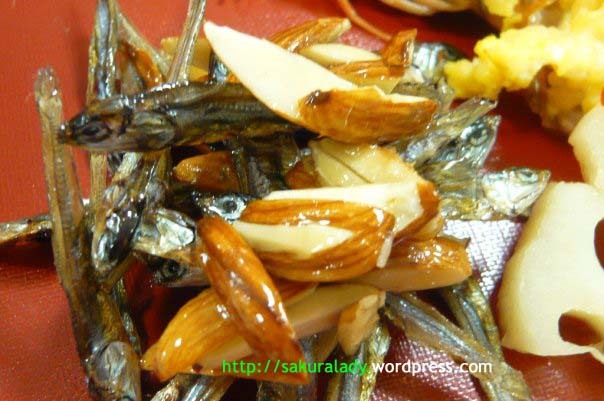 * Tazukuri (田作り), dried sardines cooked in soy sauce. The literal meaning of the kanji in tazukuri is “rice paddy maker”, as the fish were used historically to fertilize rice fields. The symbolism is of an abundant harvest. 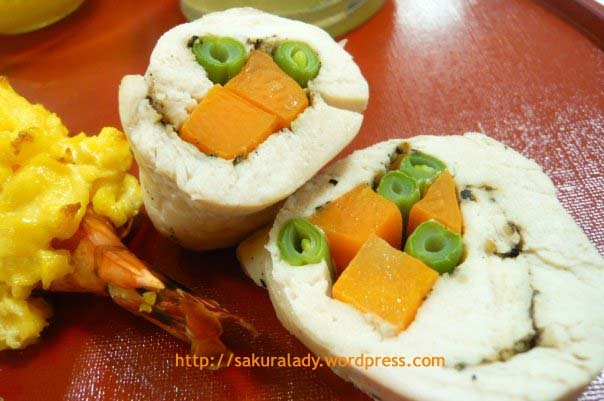 * Toori yasai maki (鶏野菜巻き),　vegetable rolled in the chicken. I don’t know the meaning, sorry. 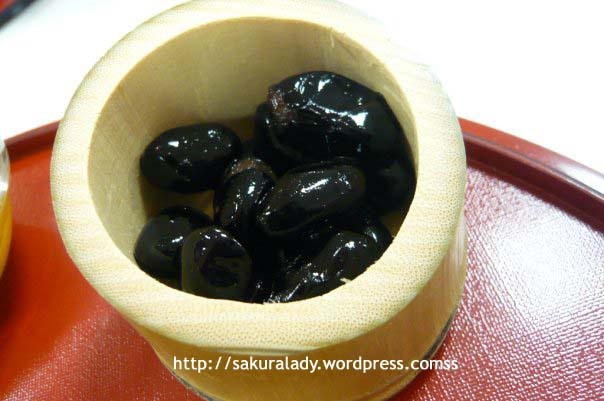 * Kuro-mame (黒豆), black soybeans. Mame also means “health,” symbolizing a wish for health in the New Year. I got the chance sharing about Indonesia in front of the elementary school students. And they asked me what’s the food for new year in Indonesia? As Indonesian are multicultural nation, so I just gave them example that we have different types of new year celebration. And as for the Moslem who are the majority in Indonesia, they usually eat ketupat. Am I correct? And of course, a very big big meal is waiting right? Gulai kambing, rendang, and so on.. 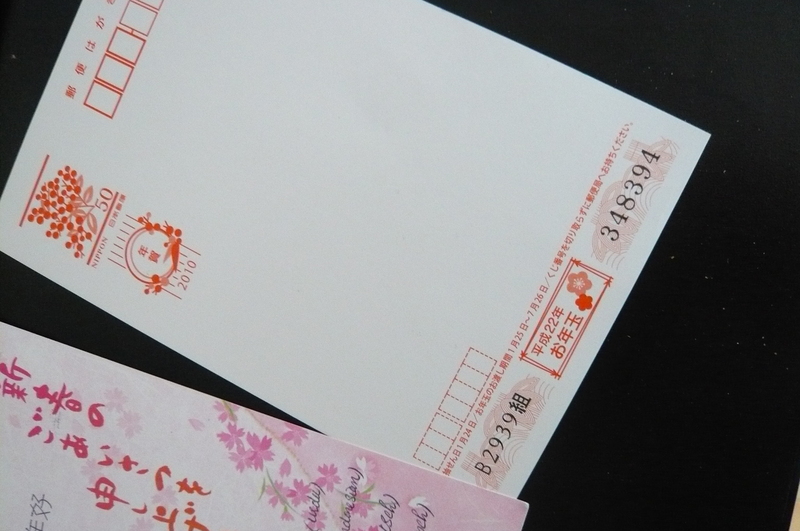 The tradition of sending postcard – nengajyou (年賀状）in Japan is quite old, dating back in Heian period. In this digital area, instead of sending the physical greeting cards, most people tend to send sms or mms.. But that’s not the case in Japan.. December is the busy month to clean up the house, and also prepare up to hundred postcards i guess.. 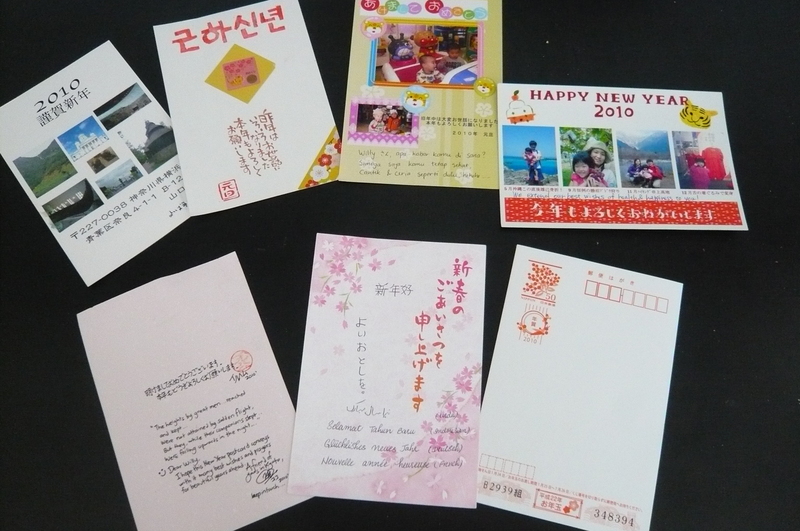 The postcards are sold in the convenient store, but most Japanese don’t like to use the mass-design postcards. They design theirs, generally beautify them with the family’s pictures or the panorama shots around their house or the shots they took during their trips that year. Some of you got the postcards from me.. but I apologize if I missed sending to you.. I did it manually to give personal touch, and it was so hectic that I sent them separatedly, however there’re some errors from my side. 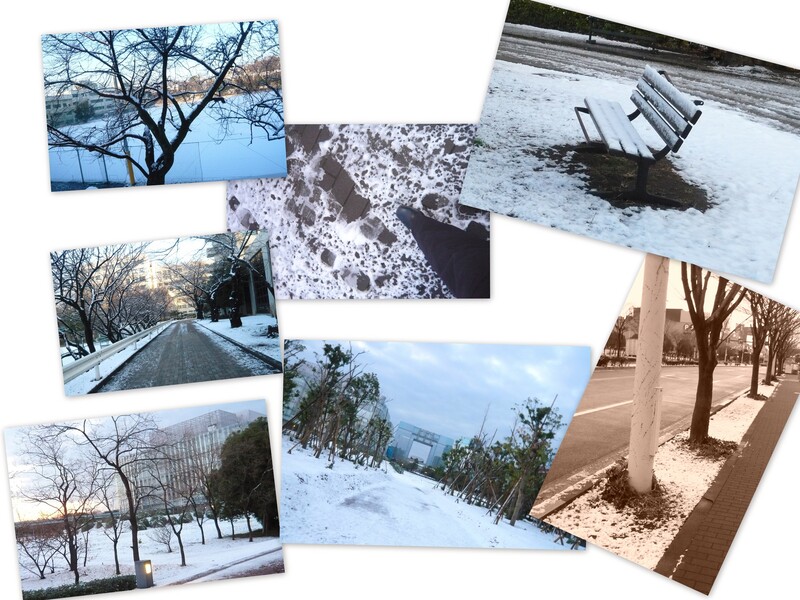 Some postcards sent from Shanghai after the conference, and the others were sent from Japan around 5 times delivery. In the Shanghai airport, I rushed to find the postcards, writing the names but when I was about to send, I found out that I ran out of money! 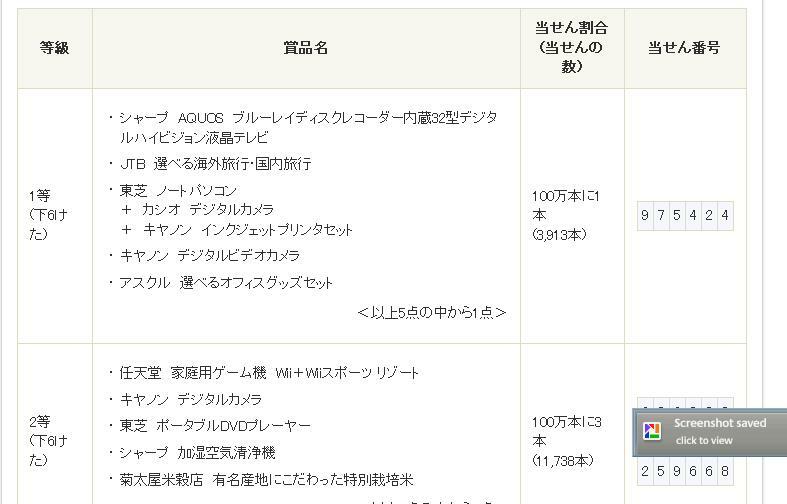 lol.. so eventhough they were already written, they had to come back to Tokyo with me and finally sent by Japanese postage. Did you notice that? *poke the recipients*, I hope you didn’t. LOL..
By the way, there’s お年玉付郵便葉書 – otoshidama tduke yuubin hagaki (postcard with new year present). So if you see there’s serial numbers on the back side of the postcard..
And there’s kinda lottery for that.. 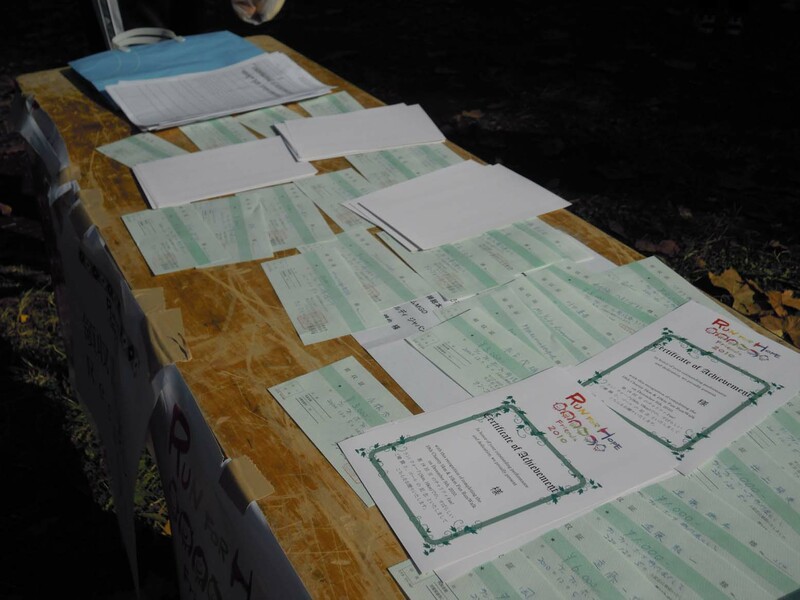 The winners are based on the 6,5, 4, and 2 last numbers..
2nd prize nintendo + Wii and so on and so forth.. If yours are one of the mentioned numbers.. You can send it back to Japan, haha.. 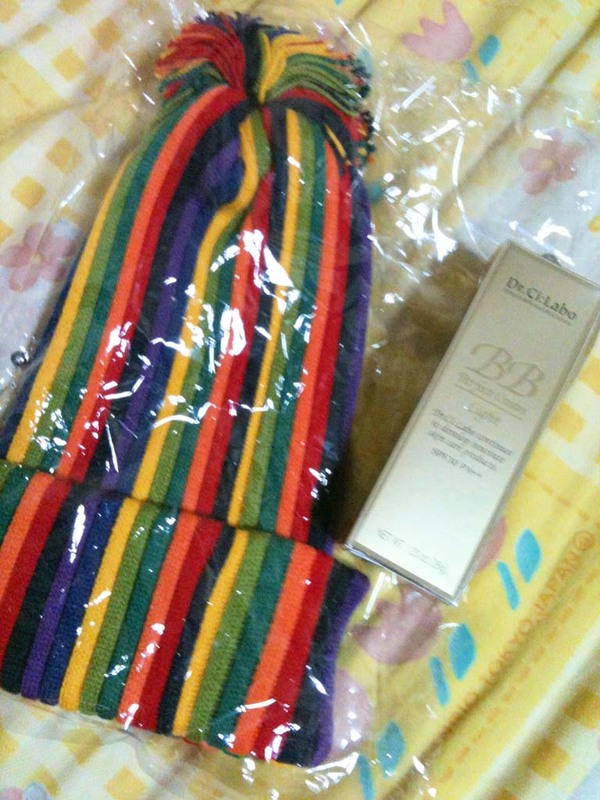 The gift exchange period was started and will last on July 26. The presentation’s finally finished, even though I still haven’t known the result.. I was the first presenter on the 1st day of defense, starting from 9AM. Four professors for examiner role with 30 minutes time limitation: 18 minutes presentation and 12 minutes Q&A. I made it pretty good, sharp 18 mins for the presentation. Then woke up 3 to 4 times during the night worrying about waking up late. In addition, I had nightmare.. I dreamed that I misinterpreted the date, I went to Hongo campus instead of Komaba campus. 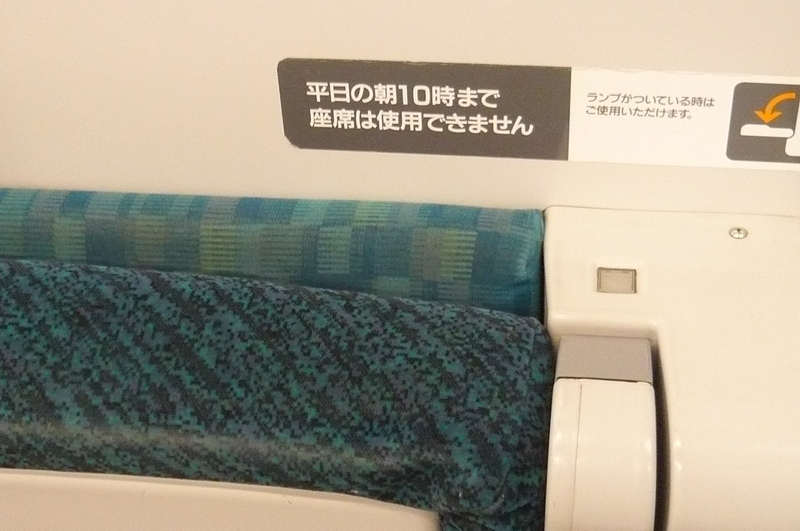 It takes 1 hour to commute from one to another. Even if I still could rush, I just realized that it’s already 10.30 AM which means I was late 90mins for the presentation. what a dream! *heart attack in the dream* lol.. I don’t know when I’m going to get the result but I got the revision suggestion from one of the examiner. So we submitted 4 copies of our thesis, and only 2 were back to me. 1 set full of revision suggestion, and the other one is completely blank. Ok, I think at the time being I can relieve to some extent..